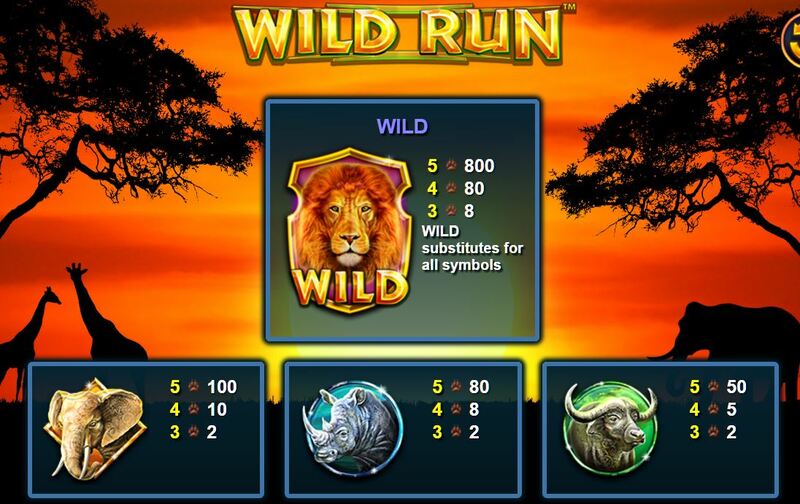 Wild Run slot from Nextgen sounds exciting with animals from the African Plains and sounds tribal beat and music we would expect of the theme. There are 243ways over 5 reels and 3 rows and no stacked symbols. On the reels there are typical card icons plus 4 different animals with the Elephant top paying, then the Rhino and the Buffalo and Leopard. The game costs 30 coins for a spin, usual for 243 way games. The theme and animals are very similar to those of Nextgen’s Cash Stampede game. 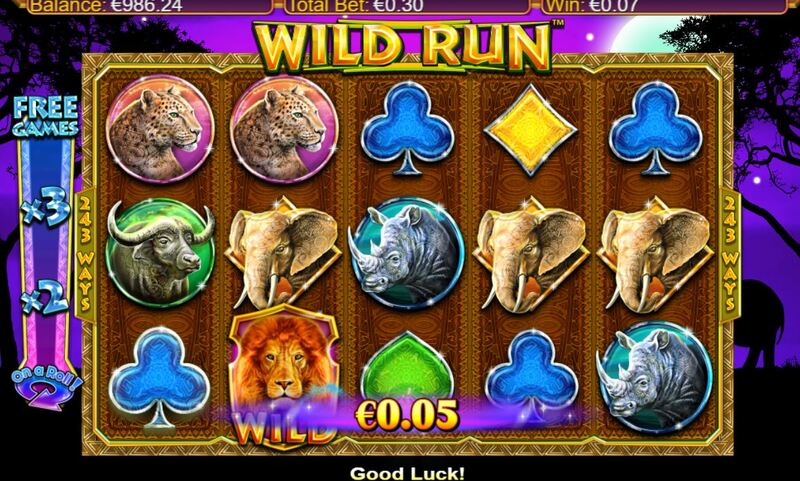 Wilds don’t appear on the reels of Wild Run Slot until you have a second consecutive win and they take the form of the Lion. On the left of the reels is the ‘On A Roll’ meter. Get one win and this lights up at the bottom, and for the next spin you have a Lion added to reels 1 and 5 which multiplies wins 2x if appearing in one. Get a third win, the meter rises one place and you get the lion on reels 1, 2, 4, and 5 with a 3x multiplier. 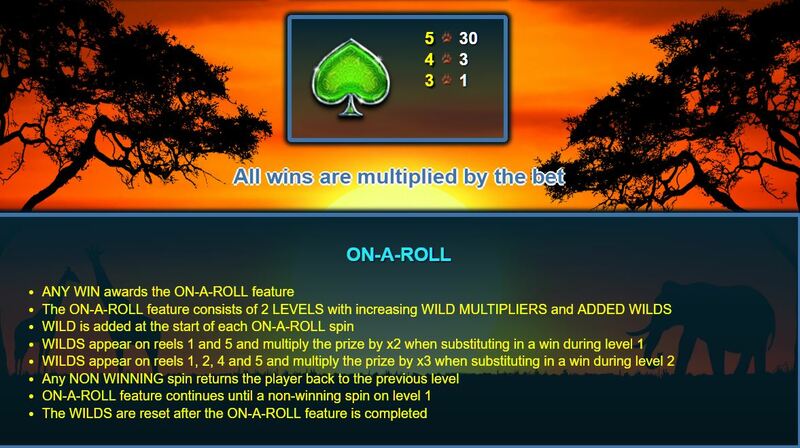 Now get another win and you trigger a minimum of 4 free games with Lions on all the reels, and some extra ones too and the wild lion wins will now have a 5x multiplier. 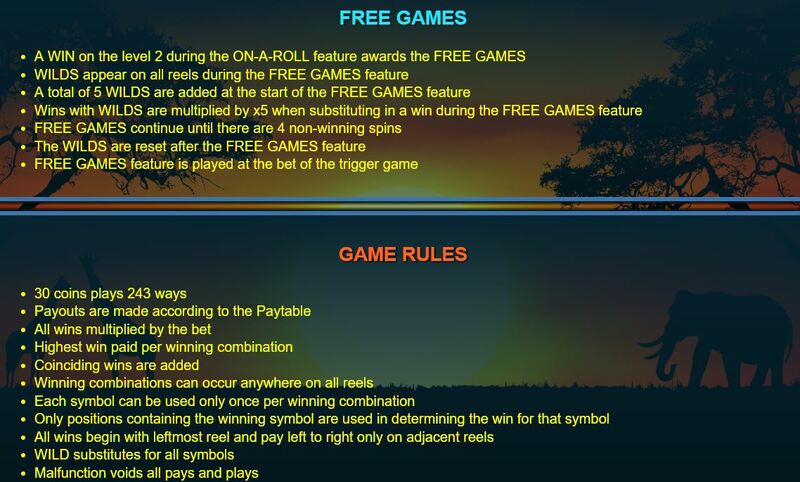 There are unlimited free games until 4 losing free spins after which the round ends. The RTP is 96.19% and the volatility very low.